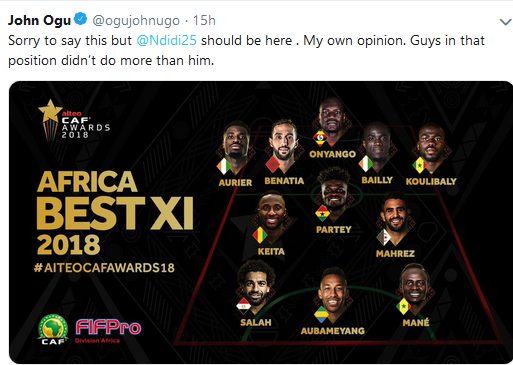 Super Eagles midfielder John Ogu has stressed his dissatisfaction over the non inclusion of any Nigerian player in the CAF best XI for 2018 at the CAF award ceremony staged in Dakar, Senegal. 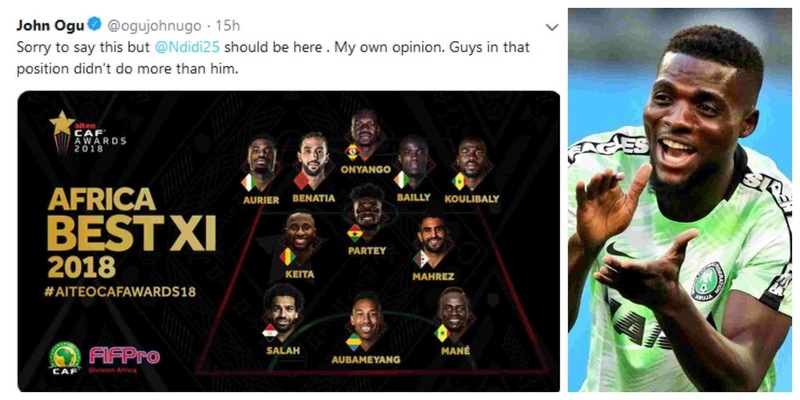 The Hapoel Be’er Sheva midfielder stated that it was disrespectful to Nigerian football and it’s players not to have them represented in the best XI category after a successful 2018 where the team represented Africa at the World Cup and also booked qualification for the 2019 AFCON in Egypt. 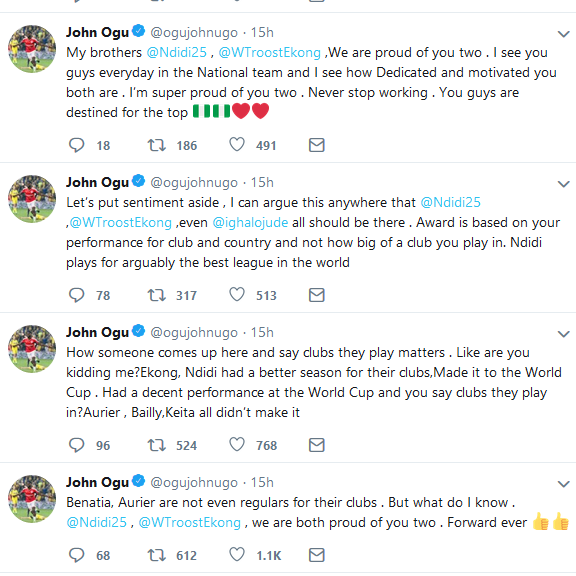 He rooted for his midfield compatriot Wilfred Ndidi to be part of the top players after a successful league season in the English Premier League with Leicester City where he was adjudged one of the best defensive midfielders in the league and his performance and contributions for the Eagles at the World Cup and the AFCON qualifiers.